For libraries not listed please visit their home pages. 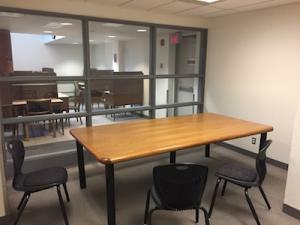 All currently registered U of T students can use these rooms for academic purposes or other University-related projects. 2nd floor, main floor, and 1-below. Group study room map. 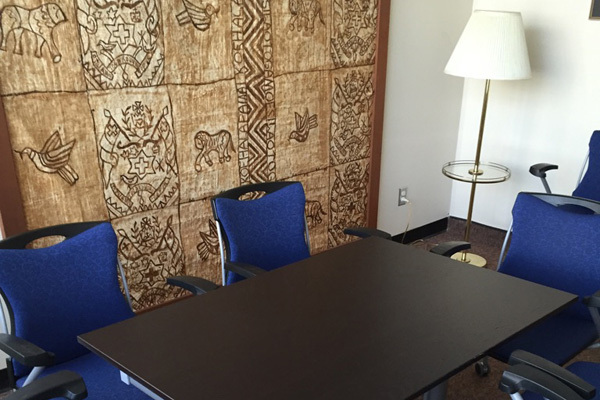 Most rooms have whiteboards or chalkboards. One room has presentation practice technology. Students with accessibilty needs have priority when booking room B172. Group bookings are restricted to U of T students, staff, and faculty with a valid UTORid. 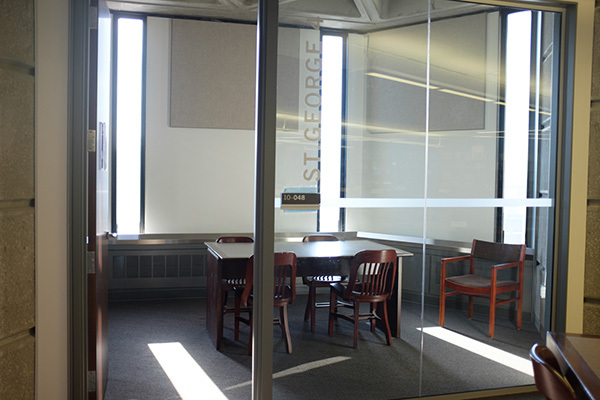 Only current OISE students, staff, faculty, and OISE Alumni Readers may use study rooms on the Mezzanine Level. All members of the UofT community can use the 4 study rooms on the Concourse Level. Four of the rooms on the Mezzanine level have large screen displays. All rooms have power outlets. 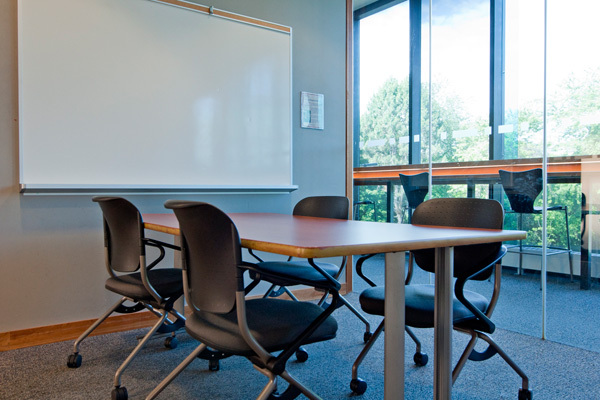 Group study rooms are only available to registered students, faculty members or staff persons of Regis College. One is located inside the library and one is elsewhere in the building. Ground floor has 5 rooms which hold up to 8 people. 5th floor has 4 rooms which hold up to 8 people. Each of floors 9-13 have 4 rooms (Sussex 1, Sussex 2, St. George 3, and St. George 4) which hold up to 5 people. Wireless connectivity. Ground floor rooms include tv monitors. HDMI cables are available for borrowing from the Course Reserves desk on the 4th floor. 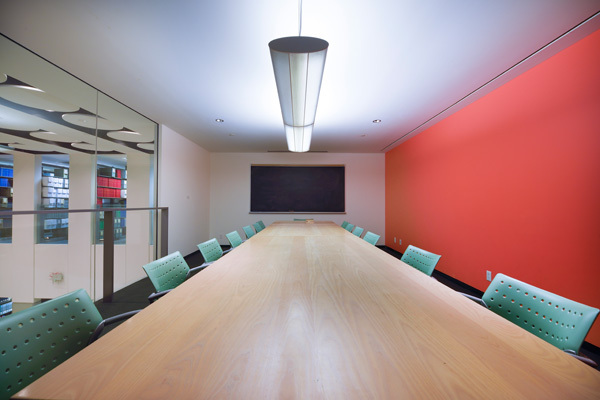 5 group study rooms on the ground floor and 4 group study rooms on each stacks floor (9-13) can be booked in advance. All others are first come, first served. 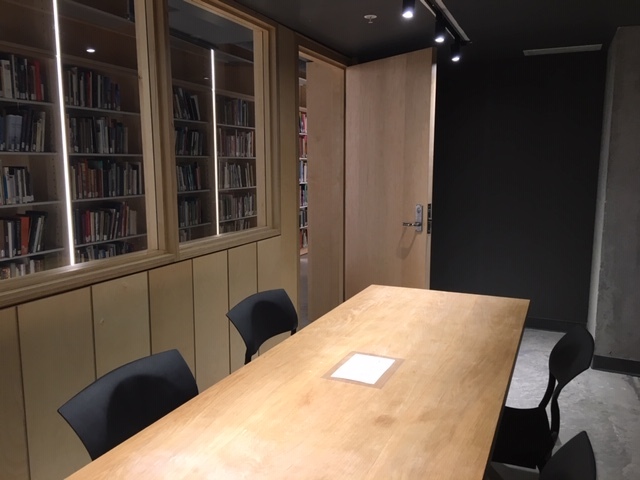 Group bookings for the Presentation Practice Room (PPR) and use of the Kelly Library’s four non-bookable rooms are restricted to groups of two or more U of T students, staff, or faculty. Rooms are for studying and academic group work. They are not sound-proof; while using these rooms please respect others in the area and honour the Kelly Library’s Conduct Regulations. Second floor: rooms 201, 202, 205, 206, and 231 (PPR). All have electrical outlets and Wi-Fi capabilities. All five rooms have chairs and tables. Three of them have chalkboards. The PPR has a white board and an LCD screen with a VGA hookup. Only the PPR can be booked in advance. All other rooms are first come, first served. The PPR can be booked for up to three hours per day and up to four weeks in advance. Those who have booked the PPR have priority for using it. All group members must be U of T students. Two of the rooms can only be booked by a Trinity or Wycliffe College student. Yes. First come first served when not booked. 6 of the rooms are bookable only by UTSC students. 1 larger room can only be booked by TAs and instructors through the Circulation Desk. 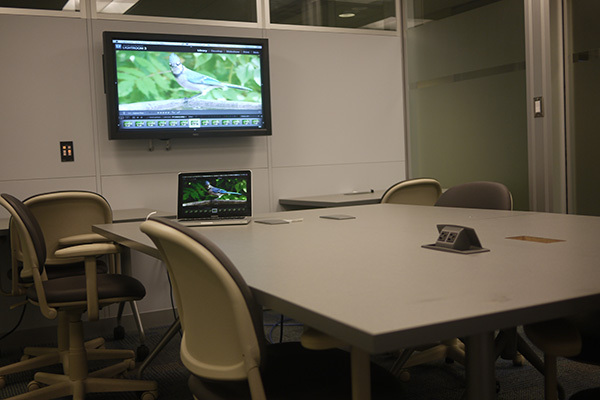 All the study rooms are equipped with chalkboards and have at least two electrical outlets. Yes (6 of the 11) The remaining 4 larger group study rooms are available on a first come, first served basis. When the bookable rooms are not reserved, they are also available on a first come, first served basis. One of the rooms on the 1st floor is for graduate students only. All other rooms are available to all currently registered U of T students for academic purposes or other University-related projects. Levels 1, 2, 3 of the library and next door on the Second Floor of UTM’s Instruction Centre. 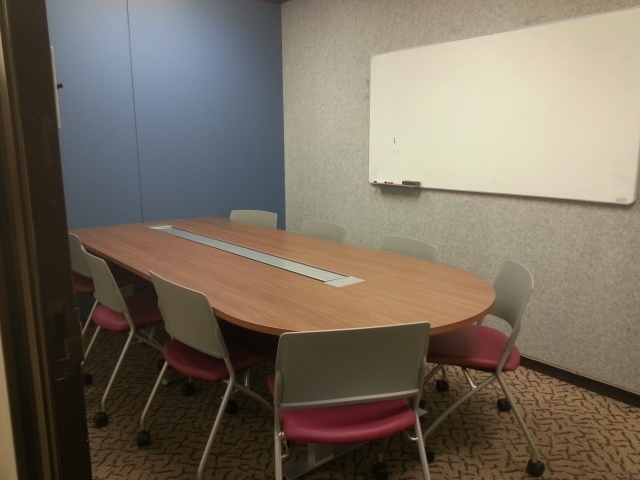 One of the study rooms on level 1 is a graduate student study room in which every wall is a whiteboard. All other study rooms contain whiteboards, tables and chairs. 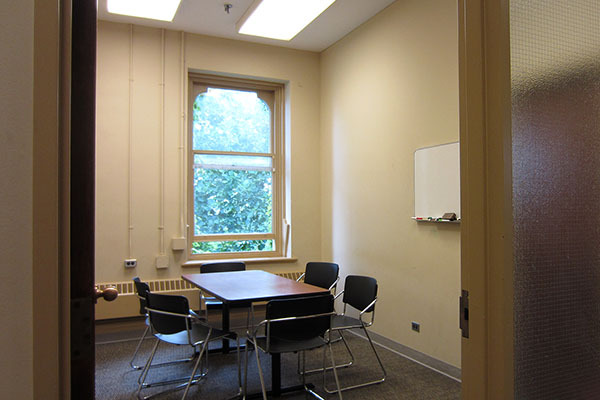 Yes (29 of the 30 rooms).The graduate student study room is available on a first come first served basis. All currently registered U of T students can use these rooms for academic purposes or other University-related projects. Groups must consist of 5 or more students. Two are located on the Queens Park Level, adjacent to the student lounge. Two study rooms are located on the second floor. 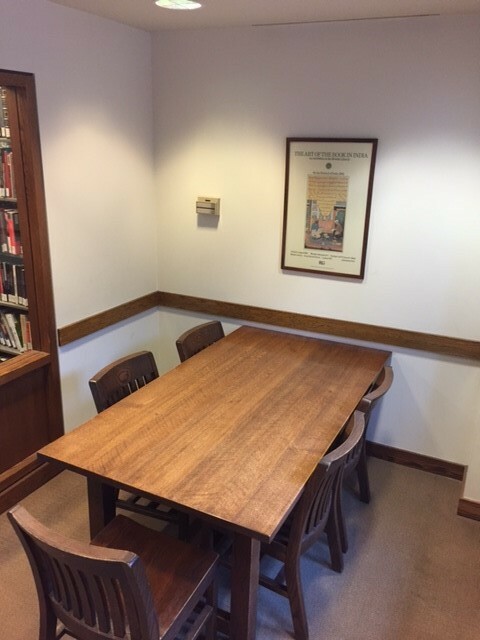 One study room is bookable. All other rooms are first come, first served.